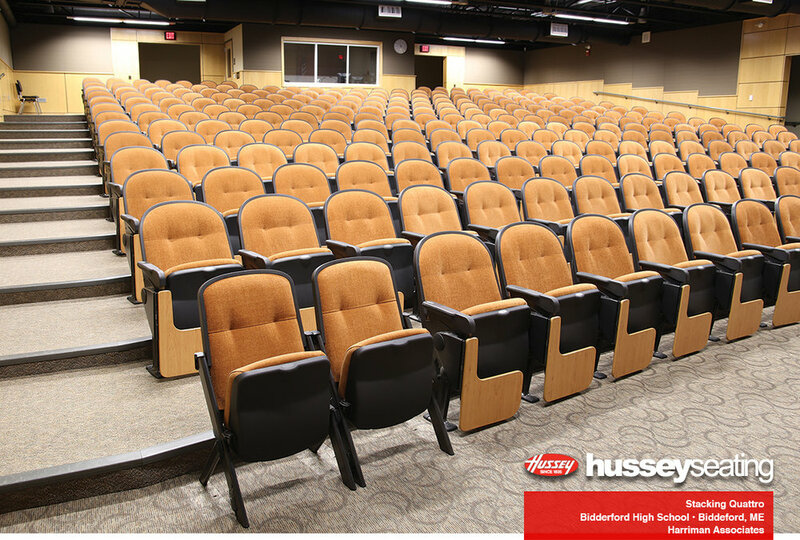 Our Stacking Quattro combines the convenience and flexibility of traditional portable stacking chairs with the style and comfort you expect in an upholstered auditorium chair. The Stacking Quattro maintains your room’s aesthetic while providing the ability to accommodate ever-changing demand for ADA and companion seating capacity. Stacks four high on our optional transport cart for easy storage.